Think cruise holidays are pricey trips reserved exclusively for the mega rich? Think again. Sure, some seafaring vacations are a tad expensive, but shop smart and you can bag a cheap cruise break for the same price as your average family holiday. Sceptical? To help you find the very best cheap cruise deals on the WWW, we’re here to impart some insider tips on how to go about booking a bargain cruise break. By following these simple tips, you’ll find a whole host of low-cost cruise holidays that offer a lot of holiday for your buck. If you’re committed to finding a cheap-as-chips cruise break, it’s a good idea to sign up to a travel agent’s mailing list (like ours, for instance). We regularly send out details of the latest cruise deals, meaning you’ll never miss out on the best bargain breaks. It’s also possible to tailor the types of cruise deals you receive by destination, price and time of year — sparing your inbox from filling up with trash you’re not interested in. Cruise lines want bodies in their beds, and will go to great lengths to get them — often by offering massive discounts on last minute sailings. 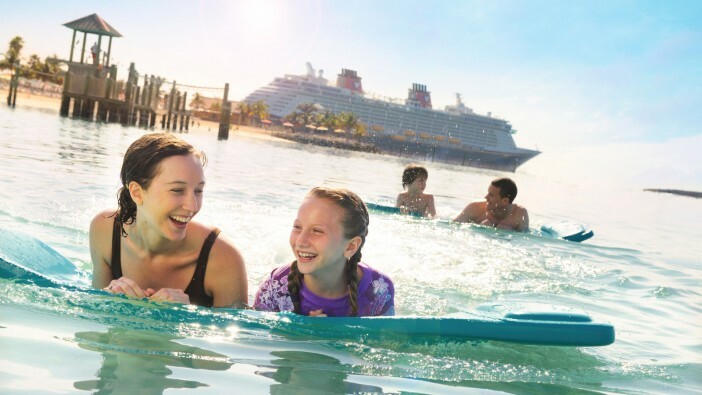 Because these deals are offered on a reactive first-come first-served basis, it’s a good idea to follow cruise lines on their various social media channels. By keeping an eye on Twitter and Facebook, you’ll find out about incoming holiday deals as soon as they appear. Follow us on Twitter and Facebook, for instance, and you can access discounts and promotions from all the major cruise lines — some of which you won’t find anywhere else. Searching for cruise holidays can be a veritable minefield, with no telling what’s included in the total fare and what isn’t. At Cruise1st, we make it easier for you to see what’s included in the final fare by listing all of the services included in the price —from travel and hospitality packages, to other products related to your holiday. All too often, would-be cruisers book a holiday only to find they’ve got onward travel to pay for — not so when you book with Cruise1st! If you’ve got balls of steel and aren’t afraid to wait around for a last minute cruise deal, booking late could grant you access to a fabulous array of cheap cruise holidays. However, you do so at your own peril. Cabin places often book up quickly, with only the dregs left for those that have left it late. Instead, get in early and take your pick of the very best deals. Not only will booking early give you access to a great range of deals, you’re just about guaranteed to find the perfect holiday for you. Like all holidays, cruise prices are greatly affected by the changing seasons. Depending on the time of year you book, you could pay double or even triple the rate you would if you were to shift your holiday time to a different date in the calendar. At peak times (October to April) cruise prices will be much higher, so if you can book at other times of year, it’s well worth doing so. If striking out in search of cheap cruise deals on your own sounds a little daunting, why not leave it to the experts? At Cruise1st, we work closely with all the major cruise lines to bring you the very best deals, some of which aren’t made publically available. We’ll work tirelessly to make sure you pay the best possible price for your next cruise, securing deals and promotions that you won’t find anywhere else. To talk to us about booking a cruise holiday, visit the Cruise1st Australia website or call our team today on 1300 857 345.